THE railways of the Isle of Wight have always been a little different. Isolated from the mainland, and with a restrictive loading gauge due mainly to the tunnels under Ryde Esplanade, they have always been worked by dedicated locos and stock throughout their 150 year history. This is why the remaining rump of the once extensive system is worked by former London Underground 1938 Stock. It is also why no main line diesel has ever been transferred to the island – that is, until the end of September this year. 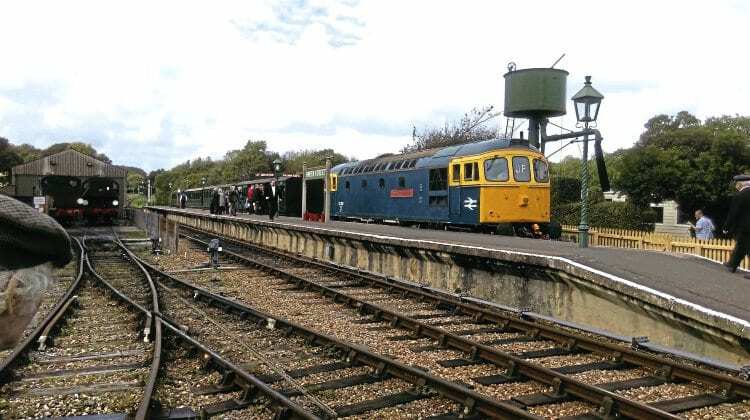 Building on its first-ever diesel gala in 2016, which made use of diesel shunters, the Isle of Wight Steam Railway’s second such event on September 29-October 1 featured Type 3 ‘Crompton’ No. 33202 Dennis G Robinson. The loco arrived from an appearance at the Epping Ongar Railway via the 19.00 Portsmouth to Fishbourne ferry on the evening of September 28. It had been carefully squeezed into the MV St Clare’s vehicle deck, with the crew needing to make sure the 74-tonne loco and its transporter lorry were positioned centrally within the vessel. It was then taken to the IoWSR’s headquarters at Havenstreet for offloading. Read more in the November issue, on sale now.